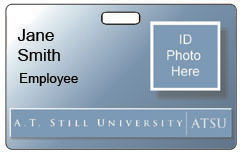 All ATSU residential students, employees and campus visitors are required to wear ID badges when on campus. 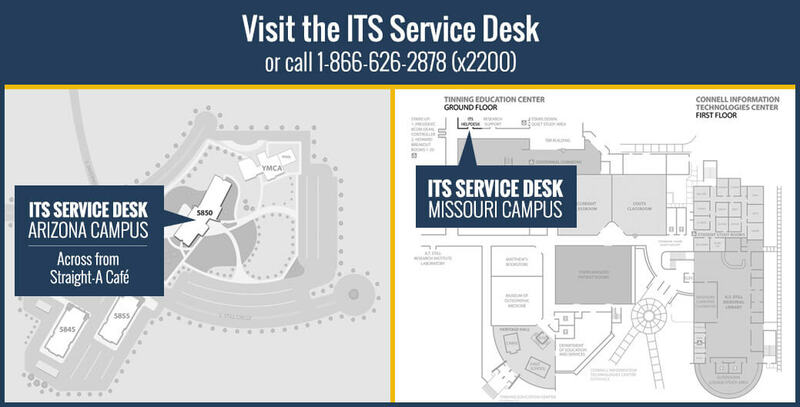 Badges can be obtained from the ITS Service Desk office on the Missouri campus and from Security on the Arizona campus. How do I get my ID Badge? On the first day on employment new on-campus faculty/staff will be directed to the ITS Service Desk office or Security (depending on campus) in order to have their ID picture taken and an ID badge issued. Off-campus employees will be mailed an ID badge. 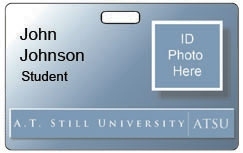 Arizona Campus: New residential students will have the photo for their ATSU ID badges taken during New Student Orientation. New students who missed having their photo taken during new student orientation must make an appointment with IT to have their photo taken. Students will receive an email when their ATSU photo ID is ready to be picked up at the campus security desk. Physician Assistant student’s with Physician Assistant Student. All others are labeled Student. Online Learning students are not required to have an ID badge but if you want or require one for personal reasons, you can request an ID badge from the ITS Service Desk (via submitting a support ticket). The ITS Service Desk will verify that you are an active student and a picture-less badge will be mailed to you. You may send an appropriate business like picture if you need a pictured badge. Check with the ITS Service Desk for further information on picture size and how to submit. Each office that hosts visitors should provide their visitor with a badge while on the campus. If you do not have visitor badges in your department, open a Service Desk ticket (for Missouri campus) or contact Security (for Arizona campus) and badges will be provided. Replacement badges will be issued for lost IDs at the charge of $10 each payable to the Controller’s Office.